Scalp micropigmentation (SMP) is the world's fastest growing solution for male and female hair loss. Modern SMP techniques require no donor hair, no drugs, no lotions or shampoos and no concealers, and it is the only solution 100% guaranteed to work. There's no invasive surgery, no scarring and no down time at all. The micropigmentation concept itself is relatively straightforward. Tiny pigment deposits are placed within the upper dermis of the scalp, to replicate the appearance of shaved hair follicles. When combined with thousands more deposits, the result is the appearance of a full head of shaved hair. Instead of looking like you're balding or bald, your new style simply suggests that you have a shaved groomed look by choice. 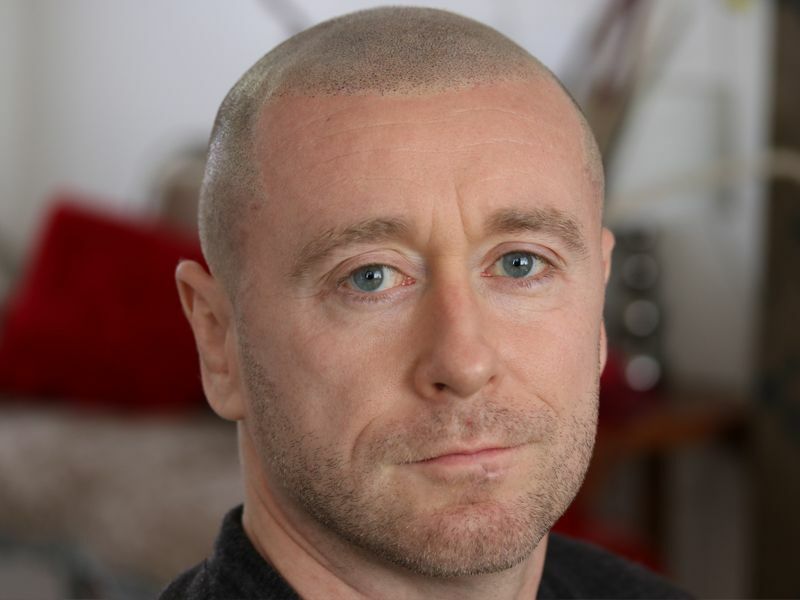 Following years of bad hair transplants, failed drugs, snake oil lotions and dodgy looking wigs, scalp micropigmentation is a safe non-invasive solution. SMP offers closure for those who are embarrassed or anxious about losing their hair. There will be no more looking in the mirror, waiting for dubious products to start working. If you want guaranteed results that look natural and actually relieve the frustrating effects of hair loss, Scalp Micropigmentation is the choice for you and our award-winning technicians at Skalptec are here to help you on your journey. If you would like more information regarding the treatment or would like to get booked in for a consultation then call us today on 0845 625 0025 or you can send us a message by clicking here. How does the SMP process work? A quick and relatively pain-free procedure, scalp micropigmentation is typically applied to the scalp over 3 sessions. Each session takes around 3 hours. Five to seven days must be allowed between each session to enable the scalp to rest and heal. After each treatment session, thousands of tiny scabs will form as part of the healing process. This is why fresh treatments can often look 'dotty'. After a few days the scabs fall off naturally, leaving behind smaller and natural-looking deposits. Over 3 sessions these deposits are 'layered' to provide a perfect replication of real hair, and a seamless blend from your treated area to your remaining natural hair. 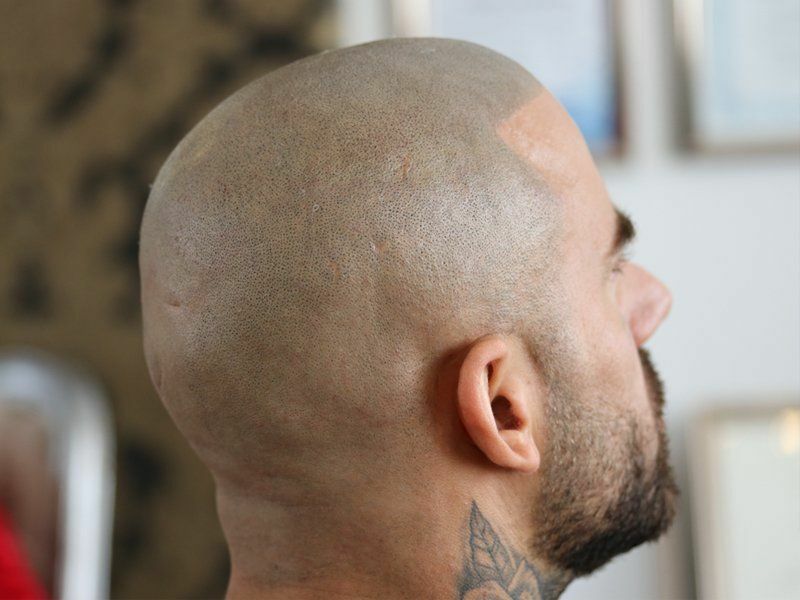 When applied by one of our experienced skilled technicians, scalp micro pigmentation produces an illusion so real, that no-one ever needs to know you've had the procedure unless you choose to tell them. Many of our clients keep their SMP treatment a secret, even from their partners and parents! The treatment is so effective, you really do have the option to tell no-one if that's what you choose to do. We have some of the UK's most experienced SMP technicians with thousands of happy clients already. Empathy, understanding, a personal service and aftercare that you simply won't find anywhere else. The most competitive rates available. Your treatment at Skalptec will cost less than at any other major UK clinic (check out our costs and finance page). There is no substitute for skill, experience and care. The best scalp micropigmentation results require the best talented technicians who have immense passion for their work, and an incredible eye for detail. Skalptec can definitely help you. No amount of training can replace these attributes, and you can ask any questions at any time starting at your first consultation. When you choose Skalptec, rest assured you're dealing with technicians who are among the very best in the world. They are all trained by one of the best: Terence Jones. Terence is the owner of Skalptec and he has just received a UK SMP award 'Scalp Micropigmentation UK Award winner for 2017'. Skalptec has years of experience, a proven track record with lots of testimonials plus the latest equipment and a bullet-proof pigment formulation. All of these factors combined provide you with the UK's and Europe's best all-round scalp micropigmentation service. Using our unique 3D approach for scalp micropigmentation we can also help you to camouflage any hair transplant scars that you might have. Or you might want to cover thinning areas large or small to have your hair appear thicker. Whatever your need is we have everything covered.